We offer this class in two forms. In the summer, June through August, class is held on the Snoqualmie River and Cedar River. The Spring and Fall classes will travel to the Yakima River near Cle Elum. Generally the Yakima classes in the Spring run March through May. And in the Fall they run September through October. Inclement weather and un-fishable conditions can change the schedule or cancel class. The class focuses on wade fishing these streams, so wading experience is required for this class. Give the rivers a try on your own, so you have an experience to report about in class. Call the shop, or stop by for some honest advice on wade fishing gear, and where to use them. The class offers expert advice on how to safely, effectively and efficiently wade fish a trout stream. The class will including strategies for casting in windy conditions. Also will teach new knots, techniques and more. Prepare for the class by practicing as much as possible. This is a two session class held on a weekday evening and a Saturday or Sunday morning. On the evening class we discuss logistic for the weekend, along with a detailed discussion on trout foods and trout flies. The weekend session we will work on rigging and knots, reading the water, casting and line control, fishing techniques and wading safety. Students are encouraged to fish the afternoon and evening after class. The instructor will have some ideas on other places to try out. 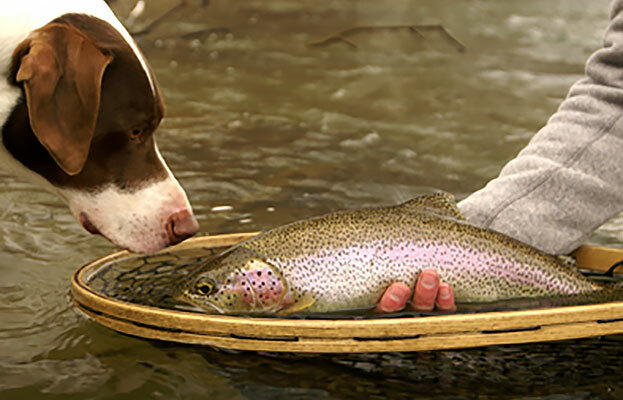 The purpose of this class is to cover the techniques necessary to catch trout consistently in moving water. We will cover entomology, fly selection, trout habitat, proper rigging and various casting/presentation techniques for both dry flies, nymphs and streamers. 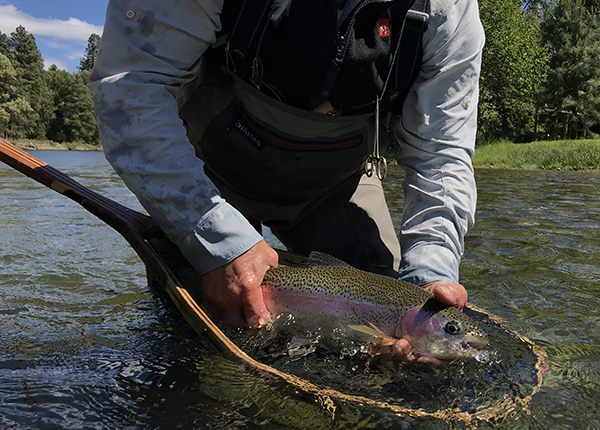 This class will give the participant a thorough grounding in tactics for rivers, and the participant will come away from the class with an increased understanding of how to catch trout consistently in moving water. This class is an intermediate level course and is not for individuals who are learning to fly fish for the first time. We recommend that you have taken an Introduction to Fly Fishing class, or equivalent, and that you have waded/fished a river several times before registering. Please feel free to talk with an Avid Angler staff member about these requirements before signing up for this course. Participants use their own equipment and fishing licenses are required, as you will be fishing!